Are there too many types of eyeshadow out there and you can’t keep up? Don’t worry, boo. We got you! We got everything you need to know about eyeshadow and how to make it work, work, work! The most commonly used type of eyeshadow is powder. It’s best for makeup beginners to start with powder eyeshadow as it is the easiest to blend. 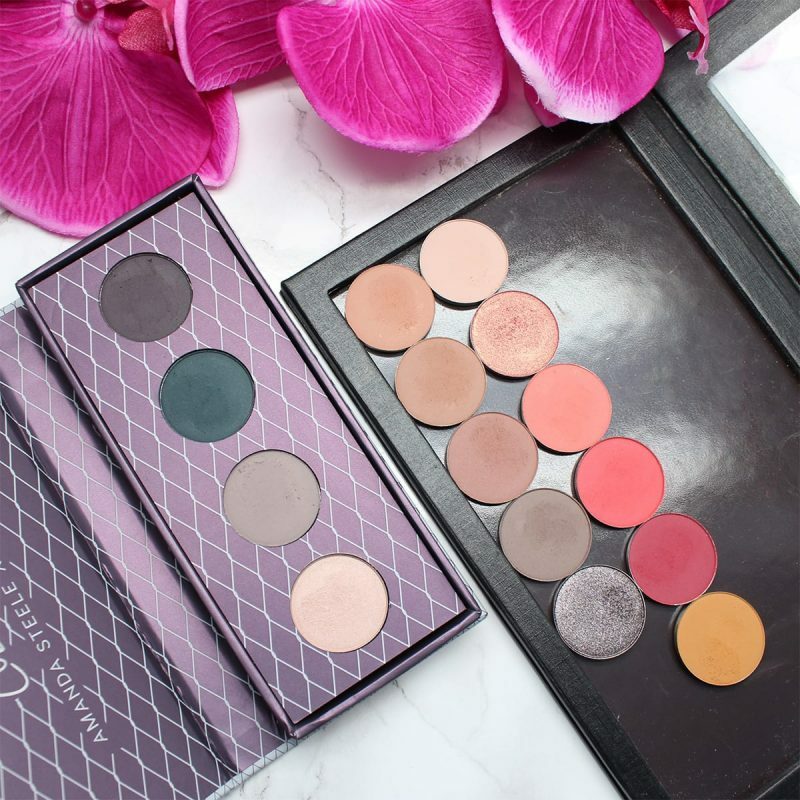 Most powder eyeshadows are compressed into individuals pans, which can then be placed in a palette, they either come in a palette of some type (duo, quad) or are standalone pigments that come in pans. This type of eyeshadow is available in a variety of finishes: matte eyeshadow is great for daily usage and shimmer eyeshadow is good for creating dramatic, evening looks, and satin eyeshadow is great for achieving that smooth and satin finish on your eyes. One thing to note is that you must never rub powder eyeshadow. In fact, don’t ever rub anything onto your eye as the skin is so sensitive; the more you touch it the more prone it becomes to developing fine lines and sagging. Apply by gently patting and pressing the color onto the eyelid. I’d prefer using an eyeshadow brush for application, but for beginners, using your fingertips will do. If you’re bored with powder shadows, then it’s time to switch to thick cream-based ones. These usually come in a pot, but can now be found in pans, tubes, or in sticks form as well. Some people prefer this type of eyeshadow for its shimmery finish and long-wearing formula, while others find issue with its tendency to crease. If you are a fan, it’s advisable to avoid wearing cream-based shadows in hot weather since they’re definitely not waterproof and can easily melt down. The best part about cream eyeshadows is their blendability. You can combine two or more colors for a dramatic look. This type of eyeshadow also works well with large shader brushes, specifically synthetic, as they allow you to easily pick up product and easily pack it onto your lids. No dragging, just packing! You can also use your fingers, but I personally won’t do that as the heat and oils from your fingertips will make the cream shadow even more susceptible to creasing. Liquid eyeshadows come in the same packaging as most lip gloss: in a sleek tube with a fluffy wand that, hopefully, isn’t anything like the Kylie Jenner Lip Kit wands. Ouch, burn. If you think this type of eyeshadow is relegated to the pros, think again. Liquid eyeshadows are, next to powder, the perfect starting shadow for beginners. My favorite use for liquid eyeshadow is as a base–it grabs onto pigment and enhances its vibrancy and staying power. However, because liquid tends to crease more easily just like its cream-based counterpart, this isn’t a good option for those with oily lids. To apply liquid eyeshadow, you can apply directly onto the lids with the wand or with a fine, thin liner brush to create a colorful winged-eye. It’s important to note that liquid eyeshadows dry quickly. They’re easy to apply but difficult to master. Loose powder or pigments are powder eyeshadows that come in a loose form. 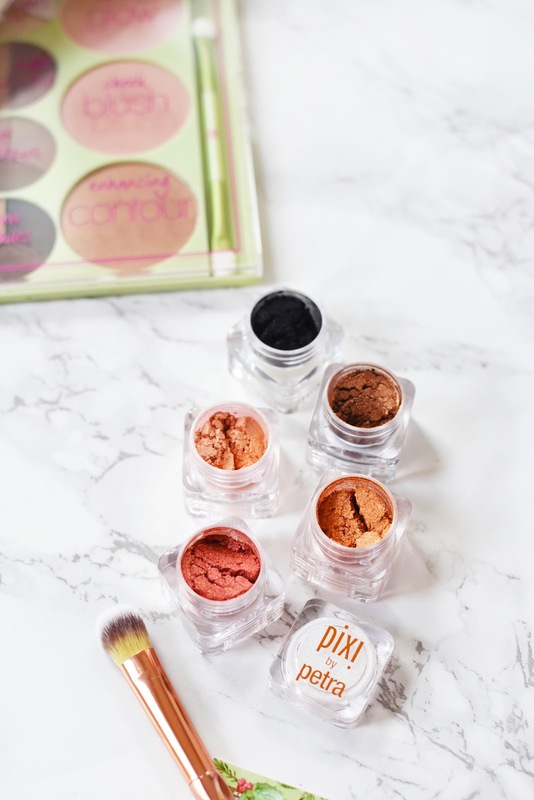 Think bareMinerals eyeshadow, or Pixi, as pictured here. This kind of eyeshadow is for advanced makeup artists or enthusiasts. A good loose powder is finely milled and highly pigmented. Just a heads up. If you have dry skin, be careful when using this type of eyeshadow as it can further dry out your skin creating wrinkles. Yikes! Loose glitter eyeshadow and metallic eyeshadow also fall in this category. These are great eyeshadows to use to achieve dramatic looks like the infamous smoky, glittery eye. They’re great for parties and if you’re going clubbing! To make loose powder work, apply a thin layer of eyeshadow primer and when applying the pigment, pat the color onto the lids. For a dramatic effect, wet your brush before applying as this will not only help the shadow adhere to your skin, but will instantly heighten the color payoff. This is also called foiled eyeshadow, wherein your mix one to two drops of mixing medium to the eyeshadow brush before dipping it into the pigments. If you don’t have a mixing medium, a makeup setting spray, saline eye drops, or water can also be used. For those who do not like complicated eyeshadow application, the stick or crayon eyeshadow is what you need. Shadow sticks are ultra-versatile and they’re easy to bring around with you too. It’s very easy to use since you basically slide it on the lids, blend as you wish, and you’ll get the color you need. The best thing about shadow sticks is their long-wearing formula. It can actually last up to 24 hours! This is all thanks to the intense colors and concentrated formula that makeup brands use on shadow sticks nowadays. Think: primer and pigment in one. What I love about them is that it makes it easier for me to apply eyeshadow on my lower lids and tear ducts. In the past two years or so, baked eyeshadow has been the go-to eyeshadow for some women. Yup! This eyeshadow is actually baked in an oven, not pressed. What makes this type of eyeshadow a huge hit among women is its ultra-smooth and blendable formula. One of my friends told me that it’s easier to pack in the color with this one too. Applying baked eyeshadow can be done wet or dry. If you want intense color for a dramatic look, apply it wet. Foiled eyeshadow application can be used with this type of eyeshadow. If you just want to add color to your lids, dry application will do. Oh! Before I go, there’s one last tip I need to share with you. No matter what type of eyeshadow you’re using, make sure to use an eyeshadow primer before applying the eyeshadow. It’ll serve as the barrier between your eyelid that’s naturally-producing oils, and the eyeshadow. Eyeshadow primer not only improves the staying power of the eyeshadow, but it also helps prevent creasing on the lids. And if you want to make sure that you keep those harsh lines at bay, always blend, blend, and blend! What type of eyeshadows have you tried? And which one suits your skin best? Feel free to share your experience with us in the comments below! If you’ve got the eyeshadow basics locked down, check out these 12 Colorful Eyeshadow Tutorials For Beginners you can practice with!